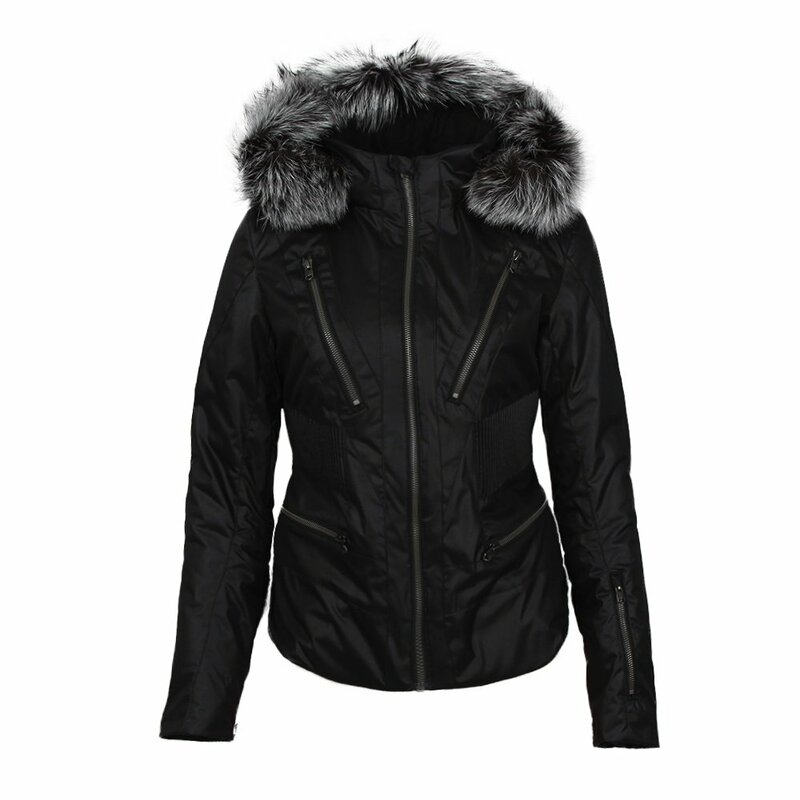 Modern and elegant, the Spyder Women's Posh Ski Jacket is packed with ski-specific features and sophisticated details. Built with a comfortable 360° stretch nylon material, the Posh has a unique cutout fabric detail that reveals a subtle shine and high-luster metal zippers on the hip and sleeve pockets. Insulated with 60g of PrimaLoft insulation, the Posh provides excellent warmth while maintaining a sleek and feminine silhouette. Length: Center back measures 25"
"What kind of fur is on the hood? " "The fur trim is raccoon fur. "